I saw things, things of pure evil. The HowlSage s brown moist nostrils flared as it caught my sent and smelled for fear something it wouldn t find. 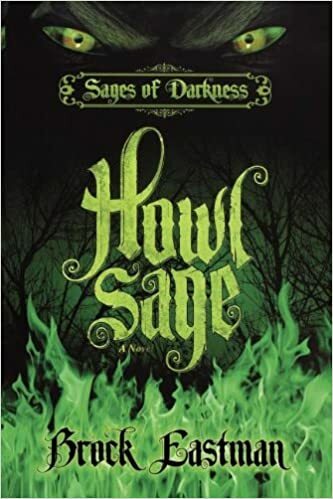 HowlSage, the first book in the Sages of Darkness series, is a fast-paced, exciting, and suspenseful action story about Taylor, a 14-year-old who is part of a secret society whose mission is to destroy the evil sages that walk the earth. As Taylor doggedly vows to solve the mystery of his missing father, does a pretty schoolmate s distraction cause dangerous consequences? A coffin discovered in Egypt, a jewel heist, and holes that swallow people into the darkness form the crux of the adventures that keeps hearts pounding. Taylor, with the help of his cousin, Jesse, and younger friend Ike, a budding scientist, race against the calendar and the wickedness that faces the world during the full moon on October 31. Will the sage hunters defeat them in time? Join the boys on their quest as they tackle the world of the unknown with bravery armed with the Cross of Jesus and the Sword of the Bible.